Below are six of our go-to recipes that we use virtually every week—some everyday. They are all plant-based foods—easily obtained, inexpensive, and power-packed. And tons of fiber since all plants. Almost all require a blender. I recommend, however, you use a workhorse blender to get best results. The first piece of equipment I invested in five years ago when I changed my eating was a reconditioned Vitamix. I use it everyday and it’s as strong today as when I first got it. I’ve recommended to so many people since then that I became an affiliate. If you decide to purchase one online through Vitamix, make sure to use my Affiliate Code 06-007789 to receive free shipping. I’ll post full recipes here but if you want to print, click on the respective highlighted title to download a printable copy. This is my daily must-have. My green smoothie is the main part of my breakfast. It gives me some greens (you won’t even taste them), antioxidants, sufficient Omega 3’s and 6’s, and other superfood nutrients when including all options. And it tastes amazing! My grandkids crave it. Combine ingredients in Vitamix in order listed above (add optional items after spinach). Process on high speed 45-60 seconds until smooth. Serves approximately 2 (12 ounce) servings. A basic in our home used as a dairy milk replacement. We love the rich, nutty flavor in adds to smoothies, cereal, and other recipes. You can purchase yet we make it cheaper and without any additives or preservatives. You will need to purchase a simple nut milk bag to strain the pulp. A very simple process and worth the effort. Combine ingredients in Vitamix in order listed above. Process on high speed for 2 minutes. Pour into nut milk filter bag over large glass bowl. Squeeze liquid from bag into bowl. Refrigerate. Another basic as it’s become our condiment of choice. Use as a sandwich spread, dip, or side on a salad. Make it plain or flavor as desired. Refrigerated in a sealed container, it will last five days—but you’ll probably finish it before then! Combine garlic, garbanzo beans, tahini, and lemon juice in Vitamix and process until mixture is smooth. Add roasted peppers and basil. Process until the peppers are finely chopped. Transfer to small bowl, cover and chill until you are ready to serve. Season with salt and pepper. 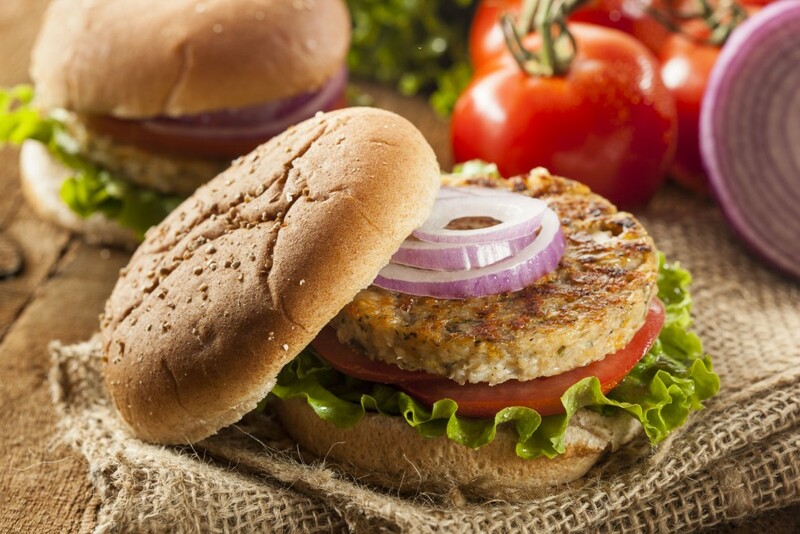 A great replacement for meat burgers. In fact, I’d prefer the taste of these over the best meat burger if I were still a carnivore. Cook a batch and freeze to have on hand to reheat for a quick meal. Garnish with your favorites; e.g., spinach, tomato, onion, peppers, salsa, mustard, etc. Amazing. Preheat oven to 350ºF. Lay a piece of parchment paper on sheet pan. A great tasting soup with both vegetarian or meat options. If you use a Vitamix, it will be piping hot in just six minutes—no pans or burners required! Place all soup base ingredients into the Vitamix container in the order listed and secure lid. If adding optional ingredients, reduce speed to Variable 2. Remove the lid plug. Drop in any optional ingredients through the lid plug opening. Blend for an additional 10 seconds. Last but definitely not least! Our favorite—and no-guilt—dessert. Easily replaces dairy-based ice cream. Super smooth, soft-serve sorbet than can also be frozen for later use. This is another recipe that you can easily amend for different flavors—use different berries, cacao powder, carob or dark chocolate mini-chips, nuts, etc. Process on high speed until smooth. Use tamper as necessary. There you go! Six simple, inexpensive, delicious, and highly nutritious recipes for your weekly menu. Email me if you have any questions about any of them or about Vitamix. Take some steps this week toward better health and enjoy! Question: What is a favorite go-to healthy recipe of yours? Share your answer in the comments below.